Tired of being harassed by debt collectors over a debt you can’t afford to pay? Debt settlement may be a viable option. But before you take this route, it’s important to understand how it works along with key benefits and drawbacks. Read on to learn more about debt settlement and explore the top companies in the industry. When you settle your debts, you pay creditors a portion of what you owe and they agree to release you from your contractual obligation to pay the remaining balance. But in order for debt settlement to be legally binding, both parties must agree on the amount. There are many perks to debt settlement, including a peace of mind because debt collectors are no longer hounding you or a financial burden removed from your plate. However, there are also some major drawbacks to consider. More on that shortly. You should also know that debt settlement can only be used for unsecured and revolving debts, or credit cards, and unsecured loan products that are not backed by collateral (with the exception of federal student loans). While you have the option to call up the creditors and settle your own debts, it’s more sensible to have a reputable company do the legwork for you. If you choose the latter, the company will instruct you to forgo monthly payments and place the proceeds in a savings account. This routine will continue until you’ve managed to stack up enough cash to start the negotiation process with the creditors. Could help avoid legal proceedings. While there’s no way to guarantee that the creditor won’t sure you in the court of law, having a debt relief company propose a settlement on your behalf could minimize the chances. Not only does it demonstrate that you’re not blowing them off, but it also shows that you’re taking responsibility for what you owe and are committed to finding a solution to at least take care of what you can actually afford to repay. 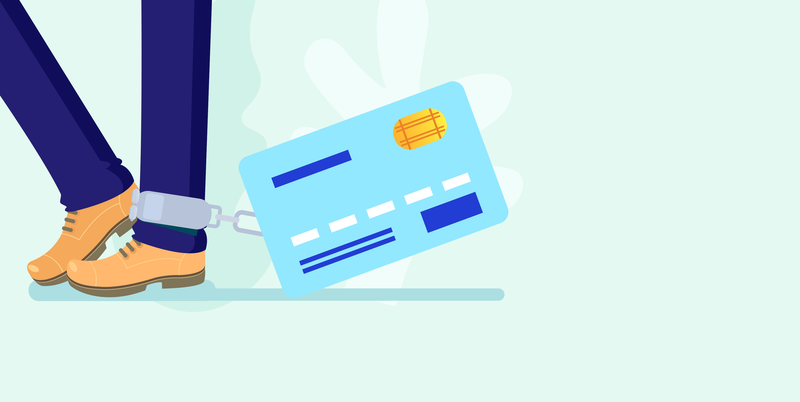 Credit cards and loan products with less than favorable terms usually cause loads of trouble for cash-strapped consumers because the amount of interest accrued is excessive. In some instances, this amount could exceed the amount you initially borrowed on credit. And when you tack on the late payment fees and penalties, the balance spirals out of control even more. But if the creditor will agree on the settlement offer, you could save a slew of cash. In some instances, you may be able to cut the balance in half, if not lower. Even better, you’ll more than likely accomplish this task in a fraction of the time that it would have taken you to pay the debt in full to the creditor. Instead of mulling over which creditors to pay and which to leave out each month, you’ll make one monthly payment to the debt settlement company. While the collections calls may not stop, this gives you a better chance of eventually getting out of the hole if the company is able to successfully settle the accounts on your half once enough funds have been accrued. The process could take awhile. Creditors are interested in recouping the total amount you owe, plus any applicable interest, penalties, and fees. So, even if you are certain that you won’t be able to remit timely or any payments at all, the creditor will need proof before they will entertain your debt settlement offer. This means that it’s not enough to call up your creditor and tell them you’re going through a rough financial patch that you’re anticipating will last for a while. Instead, you’ll need to provide tangible proof, like a series of missed payments or across the board. Charged off or collection accounts are another surefire way to get their attention as they indicate the likelihood of collecting what they owe is slim to none. Your credit will take a hit during and after the negotiation phase. Each month that goes by during the negotiation phase means more bad news for your credit score. Why so? Well, payment history accounts for 35 percent of your credit score, and just a single late payment could tank your score by up to 110 points. And because debt settlement agreements aren’t usually reached right away, your credit score will continue to sustain more and more damage with each month that passes. If the company is able to settle the debt on your behalf, the creditor will note the account as “Settled” on your credit report and this negative mark will remain for up to seven years (with the negative impact diminishing over time). Your creditors may not budge. According to the Consumer Financial Protection Bureau (CFPB), “debt settlement [companies may] be unable to settle all of your debts.” So by signing up for their services, you’re taking a huge risk without knowing if there’s any chance you’ll actually find the debt relief you’re desperately searching for. You will have to pay for the service. Success on the debt settlement companies behalf equals more out of pocket expenses for you. Simply put, they will deduct a fee from the account used to fund the settlement. The percentage varies by settlement, but it is usually determined by the original amount of debt owed or a percentage of the settlement agreement. You may also be assessed setup and administration fees on a monthly basis. If the company is unable to reach an agreement with the creditor on your behalf, they will not be able to return the service fees to you. You may have an outstanding tax liability. Debt forgiveness could trigger a tax liability payable to Uncle Sam’s Headquarters since this amount is classified as taxable income. So before moving forward, it’s best to consult with a tax professional to determine how settling your debts could impact your tax liability. Current status of their licensure. This information can be retrieved from the state Attorney General’s office. Methodology. If they use deceptive tactics to bring customers on board and settlement debts, that’s your queue to move on. Consumer reviews. You want to see more positive than negative, but if a bulk of what you see seems fishy, it probably is. Status with the Better Business Bureau (BBB). Are they accredited with the BBB? If so, what rating did they receive and are there any major complaints on file? Excessive fees. Per federal law, debt settlement companies can’t charge to settle your debts until they seal the deal. However, they may assess administration fees. And if so, you want to avoid companies that charge fees that are higher than normal. Consumer complaints filed with the state Attorney General or your local consumer protection agency. Professional Associations. Are they members of any industry-wide professional organizations? Free consultations. By giving the company a call and taking advantage of their free consultation, you’ll have a better idea of what types of fees you’ll be assessed and if the program is a good fit for your financial situation. If you’re not quite at the point where you can no longer pay your outstanding debts but are hanging on by a thread, debt consolidation may be a more viable option. Unlike debt settlement, it helps you to protect the credit you’ve worked so hard to build by securing more competitive interest rates designed to lower your monthly payments and help you pay off your debts faster. Debt settlement may be the best option if you’re drowning in debt and have reached the point where it may be necessary to file for bankruptcy if you can’t find relief. But before moving forward, it may be best to speak with a credit counselor to determine if it’s the right decision for you.